30 Marion Rd, a single family house for sale in Westport, sold for $825,000. This 4 bedroom, 2.5 bath Westport house for sale was built in 1926 and was located in the desirable Old Hill Neighborhood. 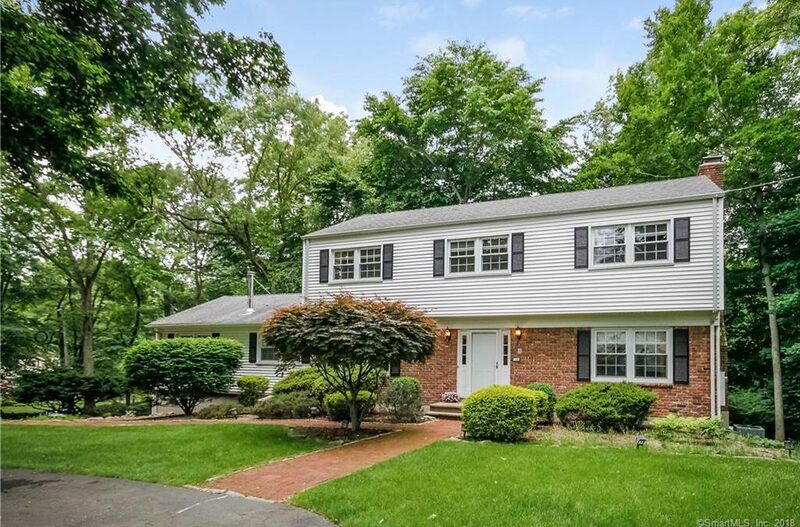 Sought after Old Hill neighborhood center hall Colonial with fabulous flow for entertaining as well as everyday life. Don’t miss an opportunity to get into a wonderful 4 bedroom 2.5 bath home with privacy and a huge Family Room with Vaulted Ceilings, and is perfect for all kinds of gatherings/entertaining with the half bathroom right of this room on the way out the back door to the deck for more entertaining space. The spacious Eat-In-Kitchen has new stainless steel appliances installed in 2017, Corian Counters and plenty of cabinets, counters an storage with lovely wood shaker cabinetry. Don’t miss the finished half of the basement with brand new wall to wall plush carpet and sliding glass doors to walk out to the backyard. There is access to the 2 car garage through the unfinished portion of the basement that is perfect for storage with lots of wooden cubbies and shelves. HUGE PLUS is the FULL HOUSE AUTO GENERATOR!